We sometimes find that some people talk about looking for a “cheap” plot. We get it, people want to save most of their money for building and don’t want to spend a lot of money first buying the plot or waiting to pay it off before they can build. So they compromise, they buy cheap. But as with everything else in life, buying something cheap sometimes means having to deal with a lifetime of other problems. It’s like buying a cheap pair of shoes, sometimes they get spoiled after wearing them once or twice. In contrast buying an affordable product balances cost with premium value. That’s what we believe in doing and providing; real solutions to property purchase and affordable building that helps you gain more overall. We offer “affordable” plots…and there is a big difference between cheap plots and affordable plots. Affordability is about enabling you to buy a plot that will soon be or is fully serviced with tarred roads, water and sewerage access, electricity and access to parks and recreational areas…all in a new town where you will have communal security, garbage collection and even schools. All starting from K300/month. All that and you could start building your house as early as 1 year into your payment plan. That’s real value for money. In comparison, cheap plots are just that–no value except just land that is not serviced, only has a dirt road (if at all), no water and sewerage access, meaning drilling your own borehole and digging your own sceptic tank, next to neighbours who also have their own boreholes and sceptic tanks…everyone poisoning the ground water and drinking water contaminated with toilet waste…no communal security, schools that are far away, no garbage collection…basically middle class shanty compounds. Is that really your dream, to live in a middle class shanty you would be ashamed to show on TV if you were being interviewed? We don’t think so, you deserve better! 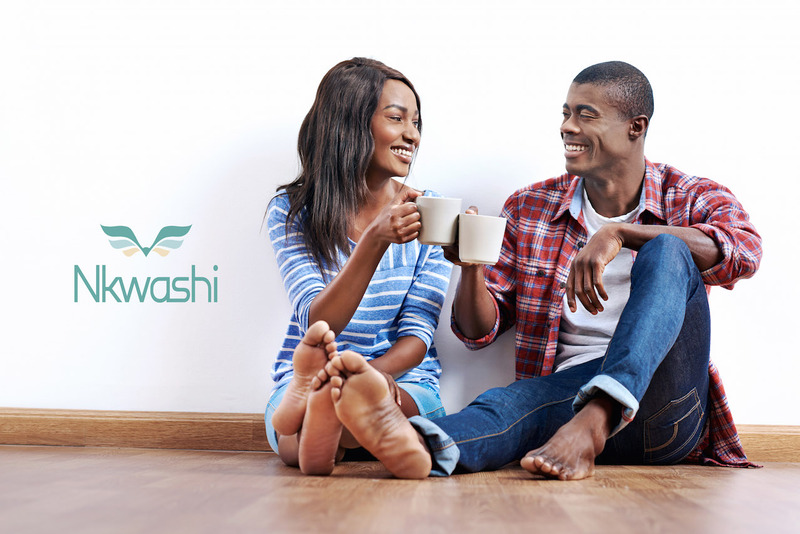 In the end cheap is always expensive…so do yourself a favour, visit Nkwashi and learn about how you can buy a luxury plot on a very affordable payment plan and get started building your affordable home with help from the best architects in Africa. Live in a modern town made just for you…where we can serve you. Where you will always be eager to host anyone because you will be proud not only of your beautiful home, but also the beautiful town you live in. That’s what it means to soar high!